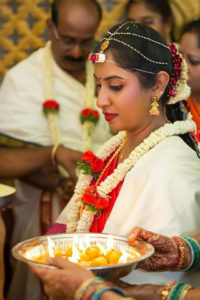 Weddings are a large affair in India, a full-fledged family drama full of emotions and love which has to be captured forever.Tips from the best wedding photographer in Chennai. Weddings are the most important event in an individual’s life. It is a much awaited day with lots of worries and happiness. A proper wedding requires proper planning and execution. It is a collaboration of both the families along with a professional wedding photography in Chennai. The bride and the groom want to look their best on their special day and the moment has to be frozen for a timeless journey. The wedding attire: The wedding attire is chosen after some careful selection. So give some importance to the attire, whether it is a lehenga,kanjeevaram sari or a beautiful gown. Give some character to it and take some candid shots. The transformation: The transformation of a girl to a princess is a much- awaited event.The girl with the best jewellery and the best makeup looks her best. The photographer can capture the makeover with some emotional touch. The mother and siblings giving some final touch-ups and a sneak peak by an emotional father make for a beautiful photograph. Bridal portraits: The bride is undergoing a lot of emotions from worries to happiness and vice-versa. All these emotions should be captured at the precise moment. The bride should get ready long before the event so that the photographer can take the best portraits in all the freshness. The walk down the aisle: This shot should never be missed, the entrance of the princess for her special event.The proud father walking down the aisle to hand over his pride to another with confidence. The parting: The emotional drama ends with tears and worries. It is time for the daughter of the house to depart from her home to another and time to take up new responsibilities. These moments should be captured with elegance. The wedding is an important event, the moments that are gone forever can be reproduced only by the photos. The bride should discuss her likes and dislikes with the photographer so that he can capture the best timely shots. Shots can be improved if there are enough time and patience for it. Just like the beauty of a marriage let the pictures remain in the minds forever. next postWhy you should go for a pre-wedding photoshoot?